A classic large-scale English wing chair with mahogany frame, carved mahogany legs with shell carving at the knee and sculptural ball and claw feet, circa 1870. 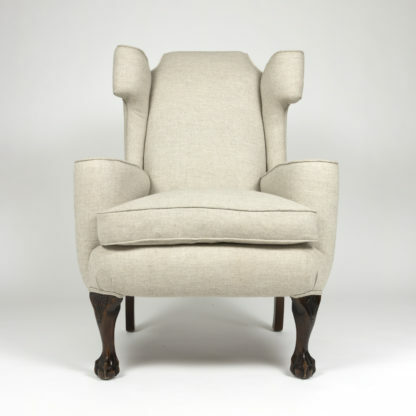 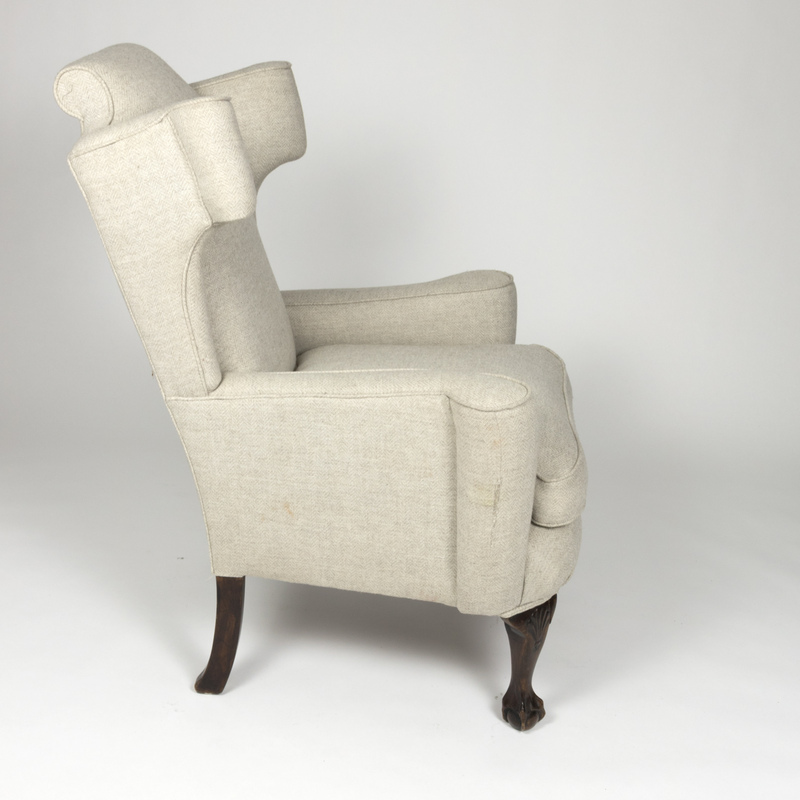 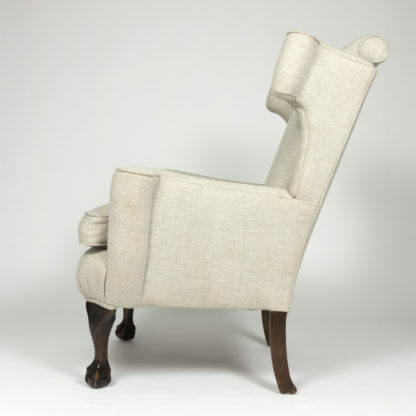 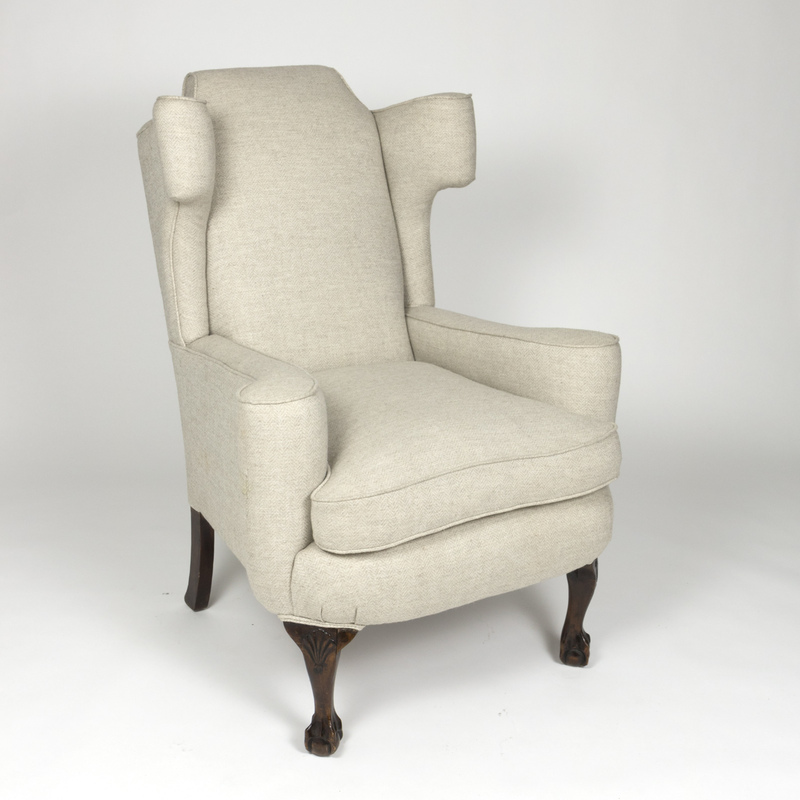 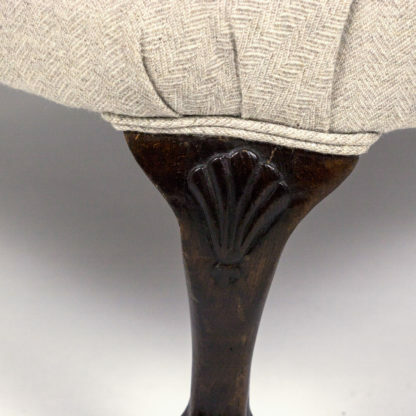 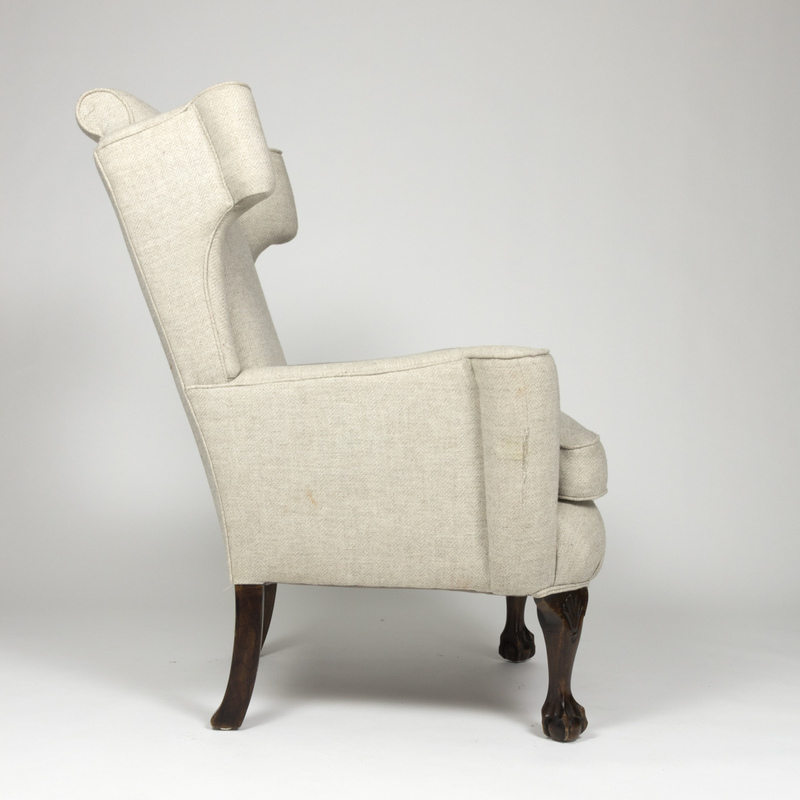 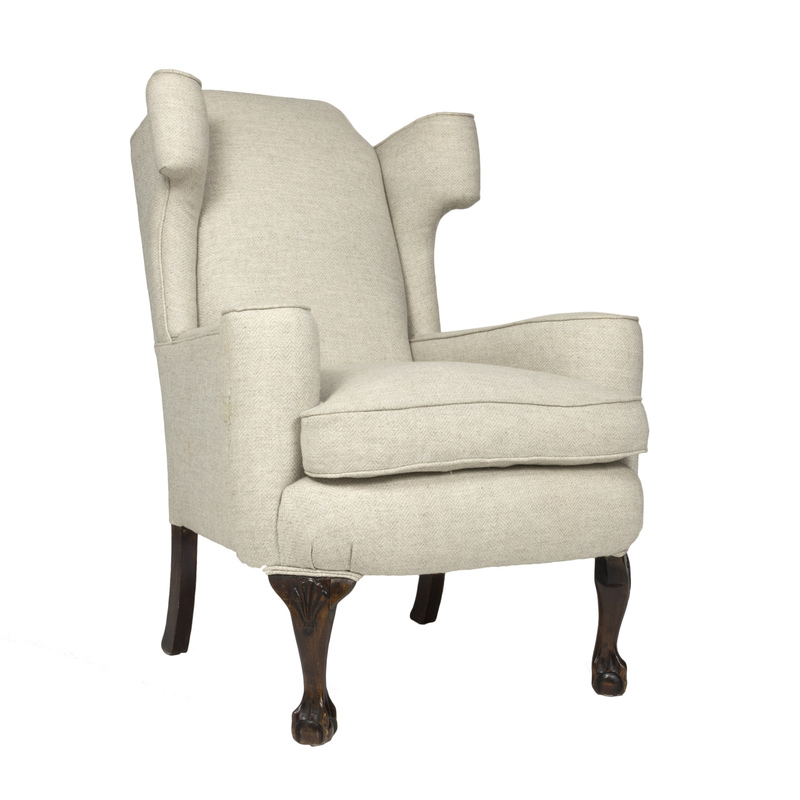 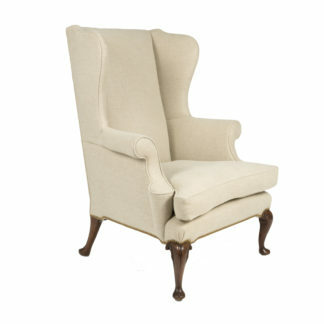 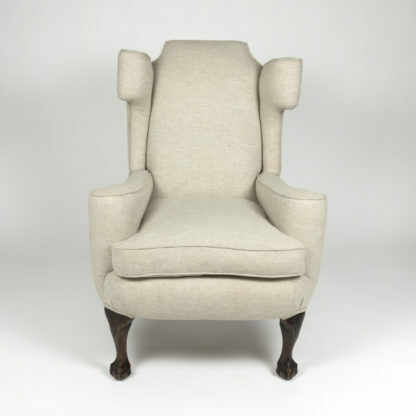 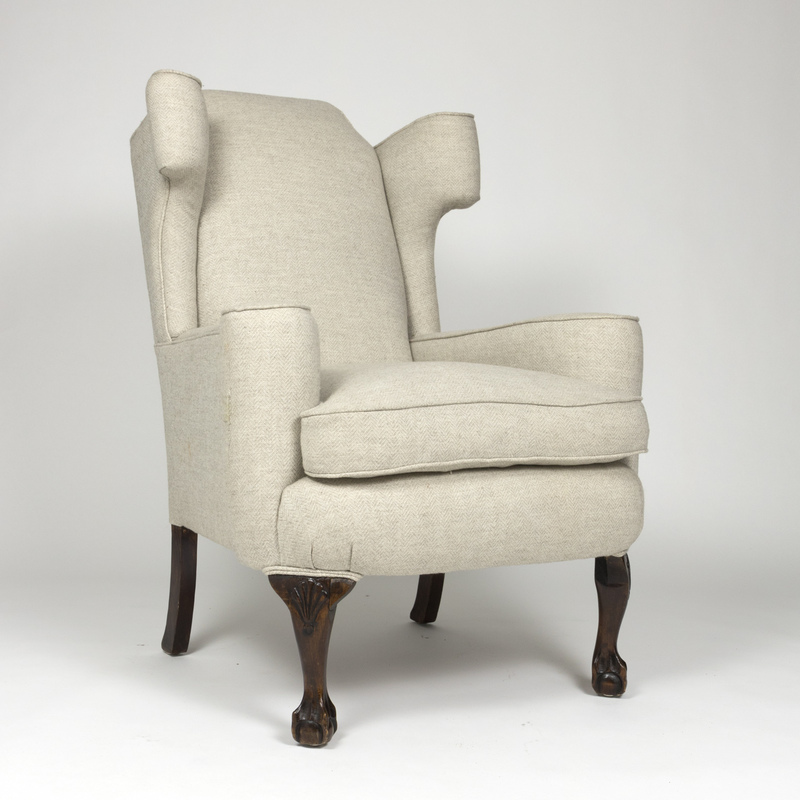 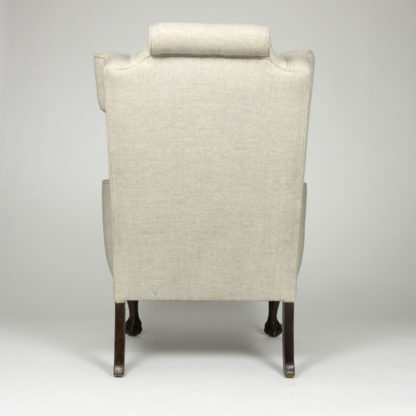 With scroll wings and arms, upholstered in a light herringbone wool. 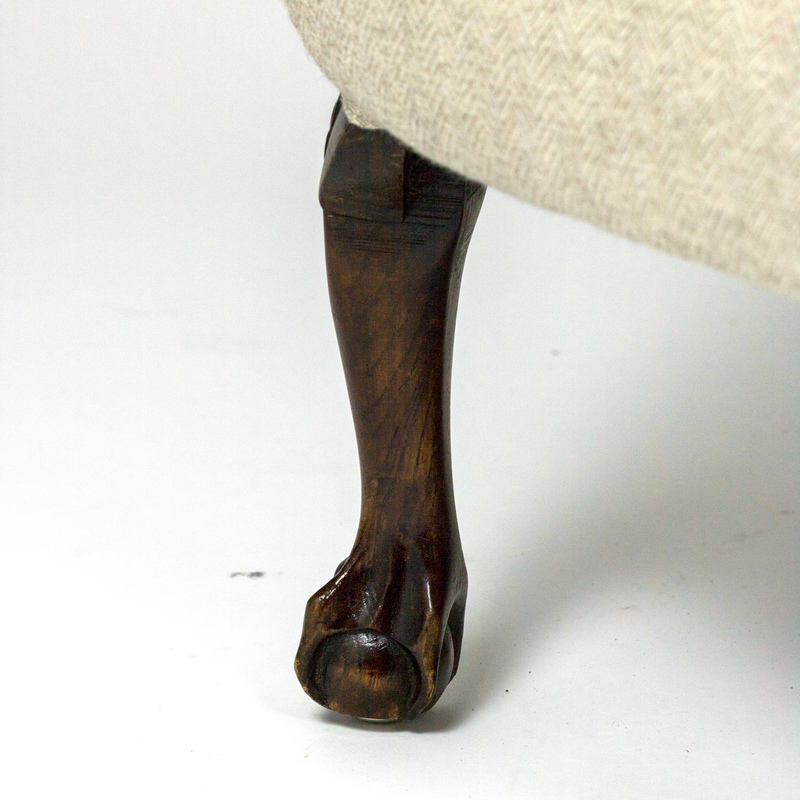 height: 43 in. 109 cm., width: 32 in. 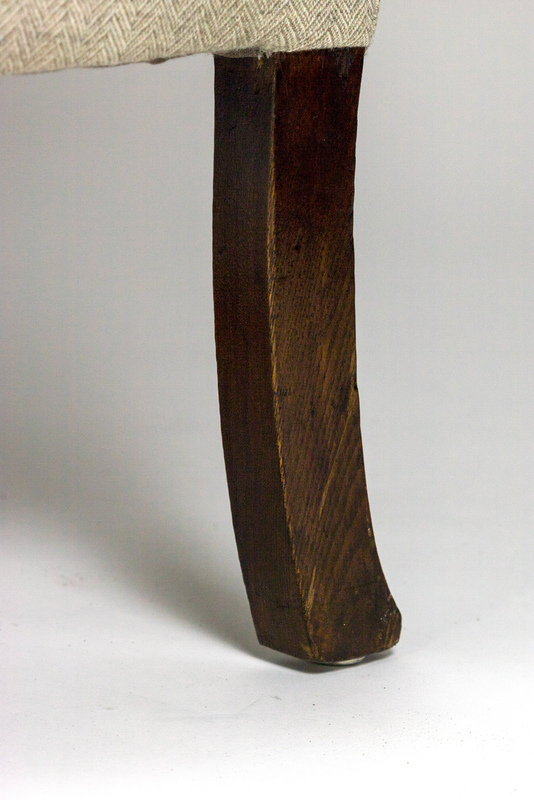 81 cm., depth: 35 in. 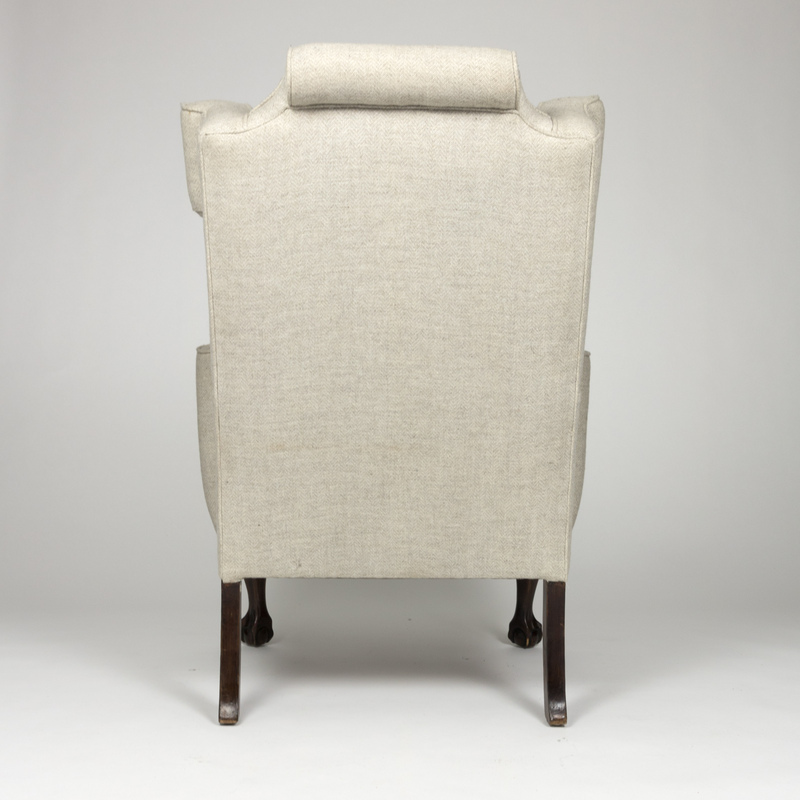 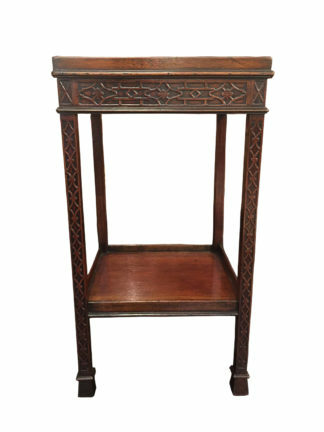 89 cm., seat height: 20 in. 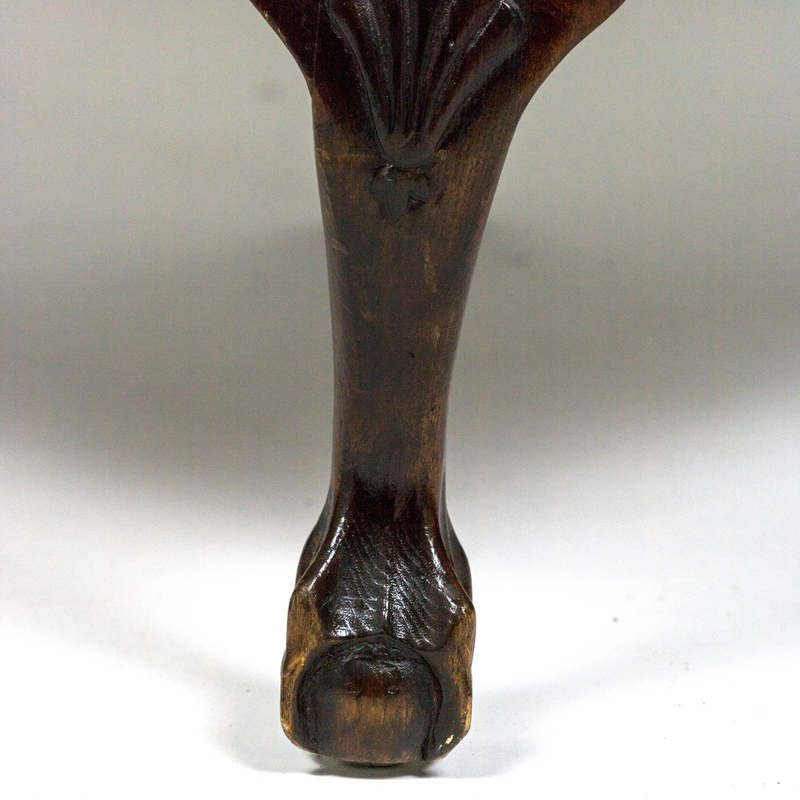 51 cm., arm height: 26 in. 66 cm.